As part of the application process to become a Canadian permanent resident, Immigration, Refugees and Citizenship Canada (IRCC) requires all applicants to undergo a full security clearance in order to prove that they are not criminally inadmissible to Canada. For Canadian immigration applicants that are citizens of the United States, or for non-Americans who have lived in the United States for six months or longer as an adult, this security clearance involves providing an original Police Certificate from the FBI along with the Canadian permanent residency application. Other IRCC applications, such as Criminal Rehabilitation, study permits, and work permits, also require US citizens and residents (including Green Card holders) to include their FBI Report. There are several Government approved private companies that enable you to obtain your FBI Report extremely quickly online. One of the most popular is nbinformation.com which is FBI-approved and guarantees your FBI Background Check in less than 48 hours. Immigration, Refugees and Citizenship Canada (IRCC) often requires an original copy of your Police Certificate, however, and typically does not accept digital FBI Reports from these third party vendors even though they are reputable and FBI-approved. In general, the only way to pass the Canadian immigration security clearance is to include an original Police Certificate issued directly by the FBI less than three months before your IRCC application submission date. If you include a photocopy of your FBI clearance letter instead of the original, your Canadian immigration application may be denied. If your FBI police clearance letter was issued more than three months before the date you submit your Canada permanent residency application to the IRCC; the security clearance may be considered expired, and your application could be denied. 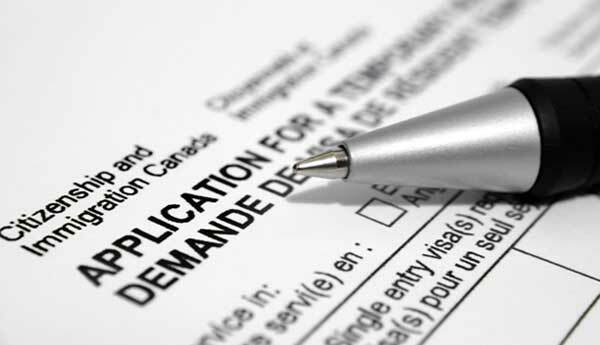 The IRCC needs a recent Police Certificate in order to accurately determine an applicant's admissibility, and consequently, the FBI clearance letter expiry date is only 90 days after issuance. For this reason, you should not bother getting one too far in advance of submitting your Canada immigration application otherwise it could expire, and you will be stuck undergoing the entire process again. For a Criminal Rehabilitation (CR) application, the National FBI Certificate must have been issued within 6 months of application submission. Whether you are being sponsored for Canada PR by your spouse, have received an Invitation to Apply through Canada Express Entry, or are applying for a Canadian work permit, an experienced Canada immigration lawyer can help ensure your application and supporting documentation are taken care of correctly. Phone us today for a free consultation. The exact name of the Police document American IRCC applicants often need to get is a Federal Bureau of Investigations Identity History Summary Request, and in order to get this document you can complete FBI application form I-783 and mail it directly to them. Full instructions on obtaining an original Identity History Summary are available on the FBI website here. The FBI Police Certificate costs $18 and can be paid for by credit card (you must mail a credit card payment form along with your application) or via mail order or certified check. The FBI Clearance Certificate processing time is approximately 8-10 weeks, although it can sometimes take as long as 18 weeks. Submitting your fingerprints to the FBI via an approved Livescan vendor can save you the time and effort of physically rolling them with ink and mailing a fingerprint card. IRCC, formerly called Citizenship and Immigration Canada or CIC, is extremely thorough when vetting visitors or prospective immigrants. In addition to an FBI clearance for Canadian immigration, Americans who have lived in another country for more than six months when older than 18 years of age may also need a criminal record check from that country. In order to pass the IRCC security clearance required for immigrating to Canada, an original Police Certificate must be obtained from every single country you have lived in for six months or longer as an adult, even if you only lived in that country as active duty United States armed forces. If you have a criminal record, you may be criminally inadmissible to Canada and could consequently have your Canadian permanent resident visa application denied. It is possible to overcome your criminal inadmissibility, however, allowing you to be approved for permanent residency in Canada after you have had a criminal record in USA. There are two methods for people to overcome their criminal inadmissibility so that they can move to Canada after a criminal arrest or conviction. A Temporary Resident Permit can give a person access to Canada for up to three years, but is only a temporary solution and is not recommended for people interested in Canadian immigration. Canada Criminal Rehabilitation is a permanent solution and can fix a person's medical or criminal inadmissibility issues forever making it ideal for people interested in Canadian immigration. A DUI is now considered a serious crime in Canada. Consequently, anyone interested in immigration to Canada that has ever been convicted of impaired driving will likely need to be approved for Rehabilitation before being eligible for Canada PR. For example: if you are an Indian citizen who is interested in applying for Canada Express Entry, but you got a DUI while studying in United States or working there on an H-1B Visa, you will likely need to overcome your criminal inadmissibility before being able to immigrate to Canada. To learn more about Canada immigration with a criminal record, contact us today for a free consultation with our experienced legal team.